Flexible Scheduling - Work can be scheduled after hours or on weekends to limit the impact on your business. Our list of satisfied customers include all types of businesses from small retail stores to large international groups and insurance builders. We also service all domestic and industrial customers. Our customers call us professional for a reason. And just like you, they're the toughest critics we know. They've proven us dependable to always deliver excellent results. Only pay us when you're completely satisfied with our work. Yes! That's right. So why wait when you've got nothing to lose? 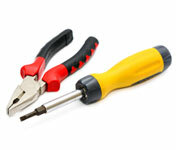 One quick call and all your electrical needs are taken care of. Contact us now on 1300 765 090. You'll be glad you did. We do any electrical installation, maintenance and repair work for domestic and commercial customers. With more than 10 years experience, we're the Perth electrical contractor of choice for discerning customers like you. 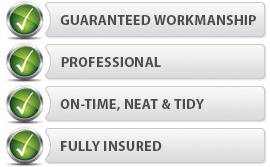 We are licensed by the Electrical Licensing Board WA and we're fully insured. We are also Master Cablers registered with the Australian Communications and Media Authority (ACMA). We make a point of being easy to reach. You can contact us on any of the numbers below. To request a call back, please complete the form at the bottom of this page. Complete the form below and we'll get back to you quickly. This page (Perth Electrical Contractor) provides information about our electrical services for commercial and domestic customers. For more information on our structured cabling services, please visit our Data Services page.